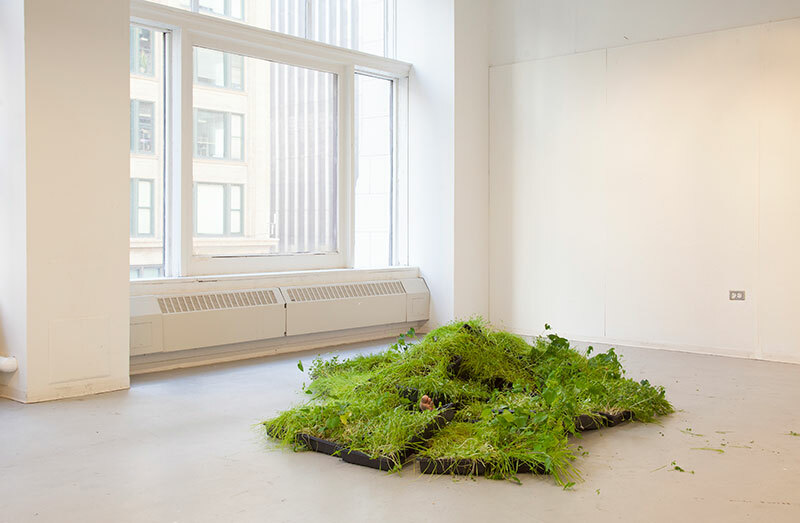 One World Rice Pilaf grows within an inflatable structure nested in the studio. 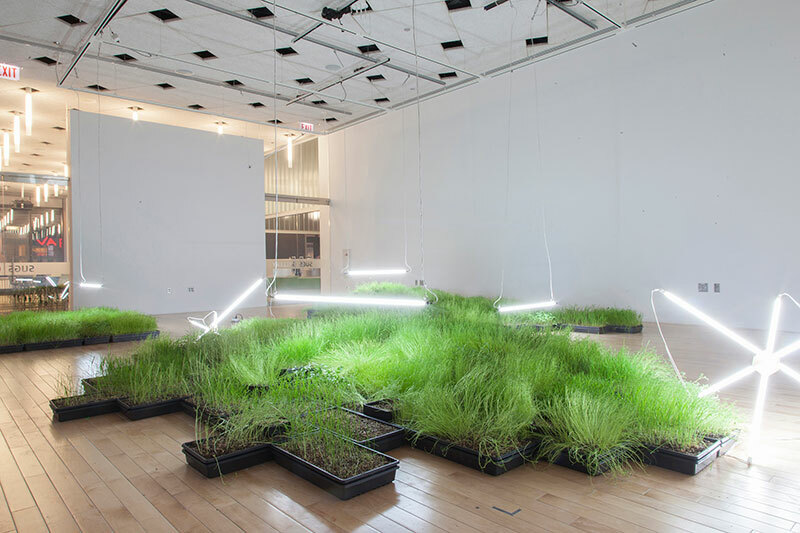 One World Rice Pilaf is a site-adaptive living modular landscape that considers our relationship to the plants we eat, and the impulse to condition the world around us. Grains and legumes are propagated from local supermarkets and arranged to form a complex of compressed biodiversity. Terrain (prairie grass) is an iteration of One World Rice Pilaf. A seven- meter long ramp is suspended in a narrow corridor. 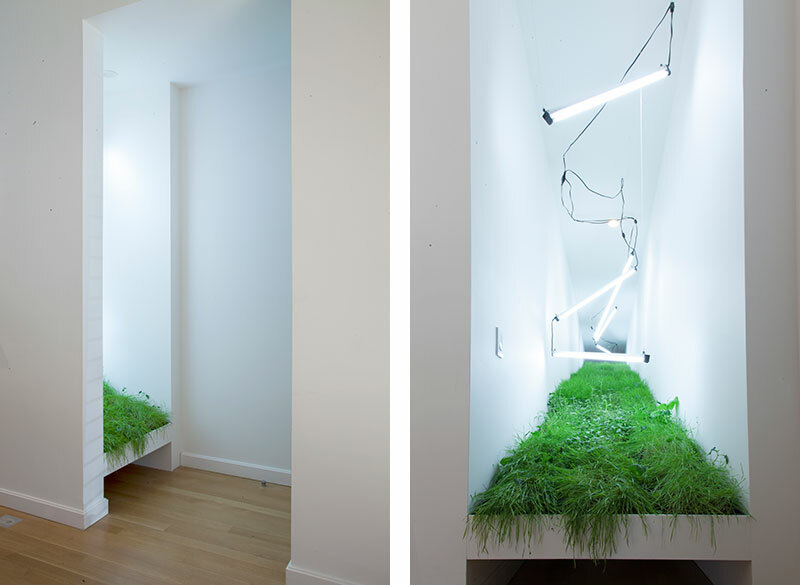 On top, fluorescent lights illuminate a shifting plain of plant life. The plants cycle rapidly from new life to death to new life once again in increasing complexity. The planters are rearranged during regular maintenance throughout the duration of the exhibition. 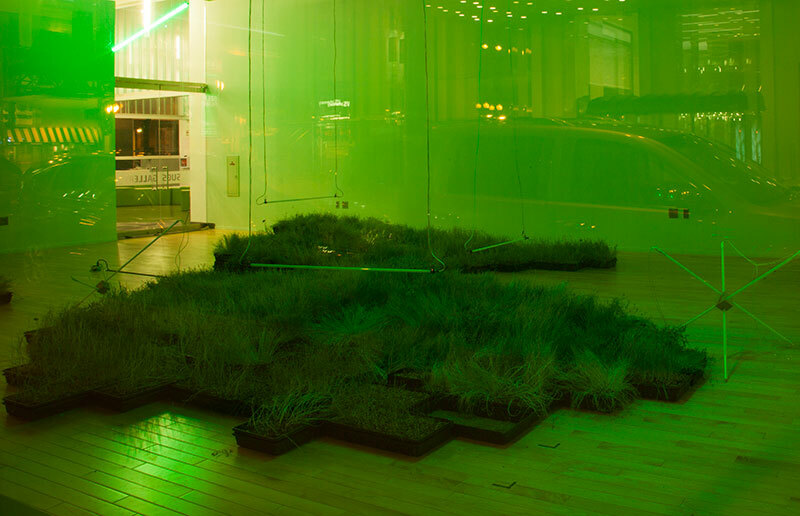 Terrain (prairie grass) was included in Sector 2337’s exhibition ‘imperceptibly and slowly opening’ October 9th – November 21 2015. 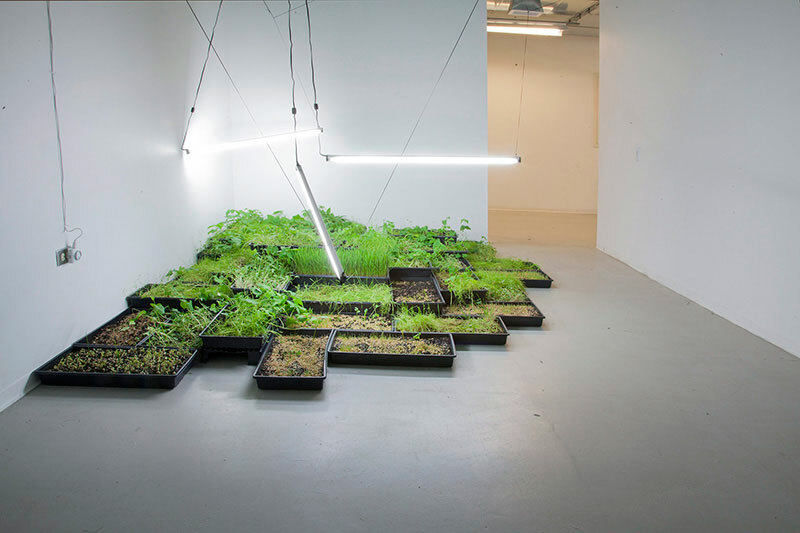 Mercury was an exhibition of two components; the vital light by Brian M John and One World Rice Pilaf By Linda Tegg. Through out the month-long exhibition both components were continually shifted in relation to each other in an exercise of coexistence and interdependence.